I'm excited to be writing to you as the Kiva fellow stationed in Sololá, Guatemala, where I’ve been working with our Field Partner, ADICLA. I wanted to share one of my favorite memories from my time with ADICLA and tell you a little more a little bit about my experience in Guatemala. One of the highlights of my time with ADICLA was the opportunity to see the impact that they’re having on their borrowers. ADICLA is providing much-needed support to many indigenous people and others who live in rural, hard-to-reach areas in Guatemala. I had the chance to witness the impact of microfinance in the field and speak to a number of borrowers in person. Many of these borrowers mentioned that if it weren’t for ADICLA they wouldn't be able to get a loan elsewhere, or they were too scared to try. My most memorable visit was meeting a borrower named Elsa. Elsa lives in a small community in the department of Suchitepéquez, in western Guatemala. Riding on a motorbike to get to her house, we left the main road and turned left onto a narrow dirt road and were instantly flanked by tall stalks of sugarcane on both sides. This road seemed to stretch on for miles with only sugarcane in sight. After about fifteen minutes we crossed a bridge which opened up to a small village. We found Elsa’s house and she invited us inside and offered us a coca-cola. As we sat together, Elsa told me about her “tortilleria,” or her tortilla business that she runs in her community. She had used her loan of $350 to buy a “comal” which is a larger, industrial stove. Elsa said that before she bought her stove, she burned herself all the time while making tortillas. Through the help of this loan, she bought this new stove which was easier to use—and safer. The stove has also made her business more efficient, in less than a year she has doubled her monthly income. She has been able to grow her business and start selling vegetables in addition to tortillas. Things are going well for her and she is already thinking ahead. She said, "for my next loan I want to fix my house. Right now, it leaks when it rains." Despite the challenges that she faced, I was struck by Elsa's gratitude. I have no doubt that Elsa will be able to persevere and create a better life for herself, her loving nature and resilience were inspiring. Click here to support other amazing women like Elsa in Guatemala! Tasha hails from Ithaca, New York, in the heart of finger lake region in upstate New York. She studied Spanish and Sociology at St. Lawrence University. Tasha has always had an interest in international development and wound up studying abroad in Madrid, Spain for one semester. 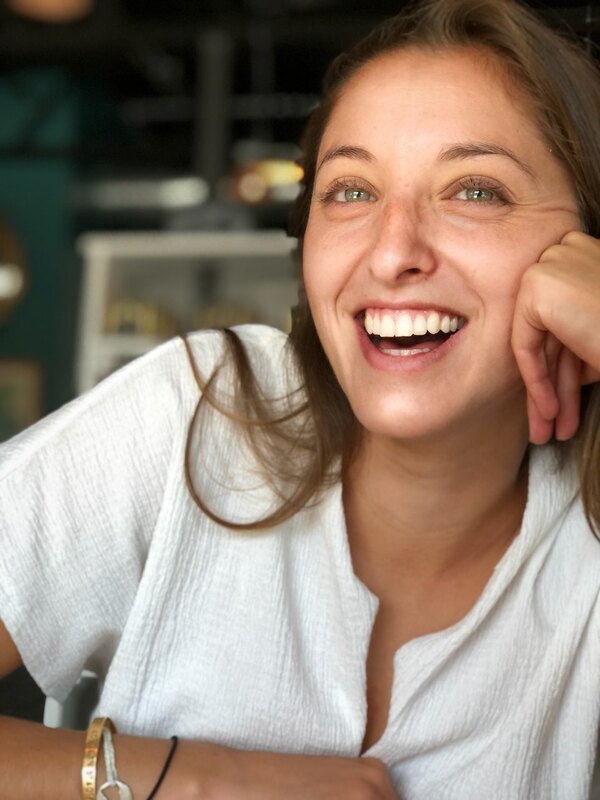 She quickly realized that one semester was not nearly enough, and moved back to Madrid after graduation to teach English in a bilingual elementary school. Wanting to focus more on challenging systemic injustice and poverty alleviation, she moved back to the U.S. and started working at Oxfam America in Boston, Massachusetts. While at Oxfam she worked in the fundraising department, focusing on institutional funding, operations and championing gender justice. She is excited to see first-hand the impacts of microloans on entrepreneurs and social enterprises in Central America!